Iconic brick and mortar buildings constructed about a century ago remain beautifully preserved. Although no longer used as a warehouse, the complex currently houses hip shops, cafes, restaurants, and bars, and even serves as an event venue on occasion. 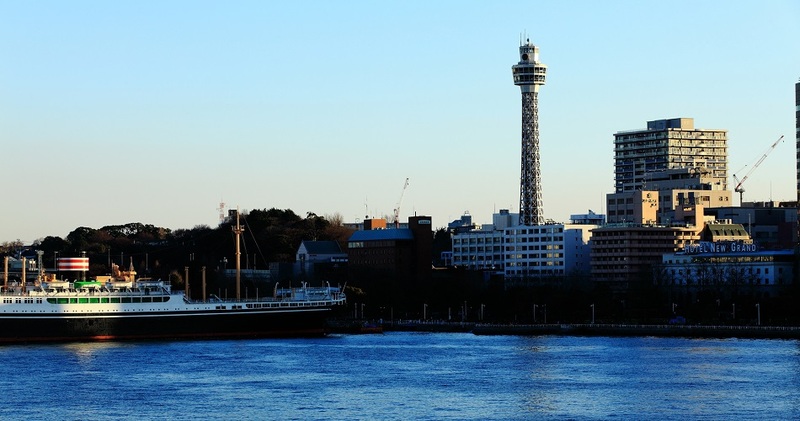 As Japan's tallest lighthouse, this structure offers 360 degree panoramic views of much of Yokohama from its observation deck. On clear days, visitors may also catch a glimpse of majestic Mt. Fuji. Although this massive Ferris wheel no longer holds the record as the world's tallest like at the time of its construction, it still holds the record for the world's largest clock. 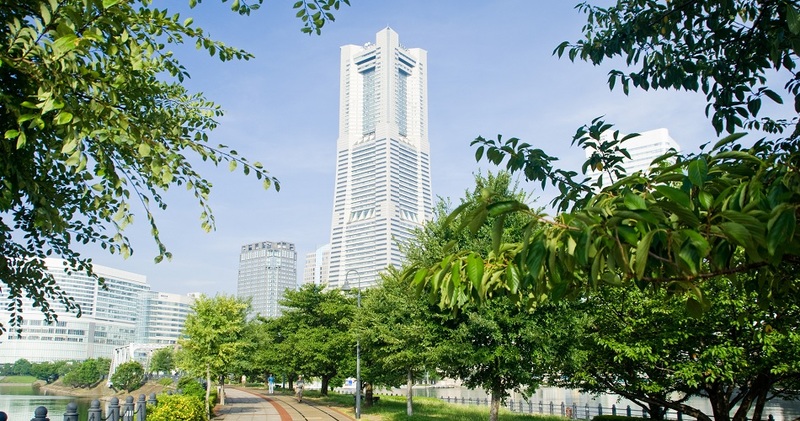 The structure is a defining element of the Minato Mirai 21 district's distinctive skyline. 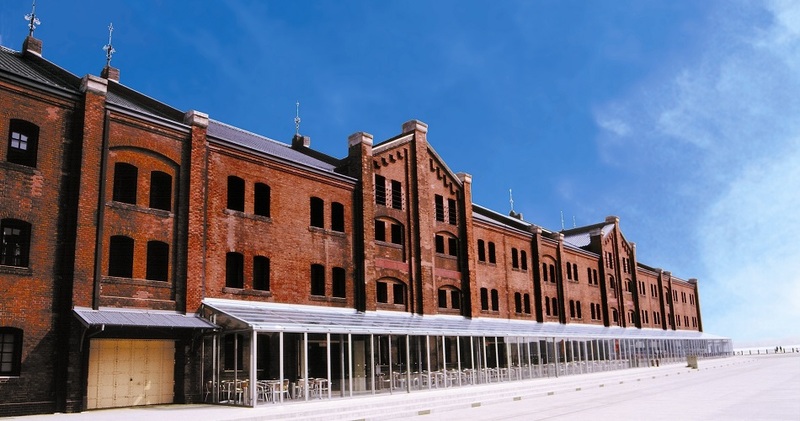 Opened near the close of the 19th century, Osanbashi is the oldest pier in Yokohama. 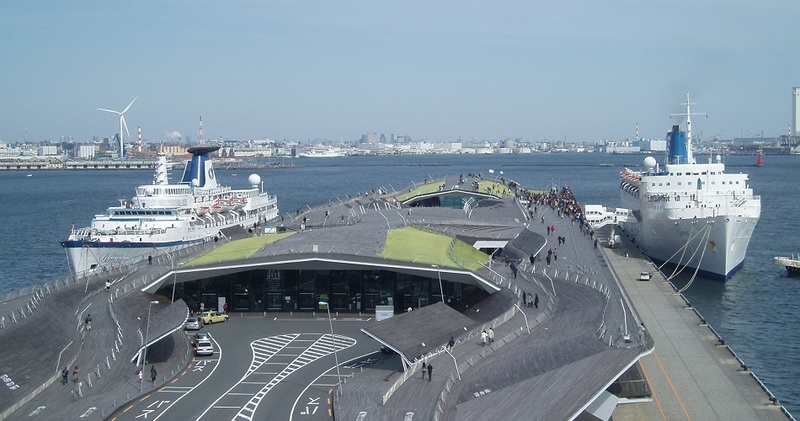 Today major cruise ships are boarded here and the passenger terminal is a popular destination for viewing famous Yokohama sights. Made famous overseas by recent Studio Ghibli film From Up On Poppy Hill, this real-life locale located in the Yamate district is distinguished by the U/W flags (a tribute to the film). A park at the top of the hill commands breathtaking views of Yokohama's harbor. 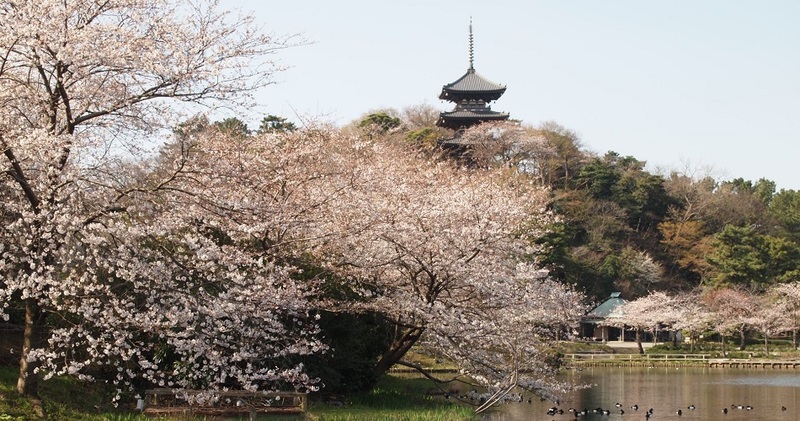 An oasis of tranquility awaiting visitors on the outskirts of the city, this impressive traditional Japanese garden boasts historical architecture and delicately manicured landscapes that are a sight to behold in any season. 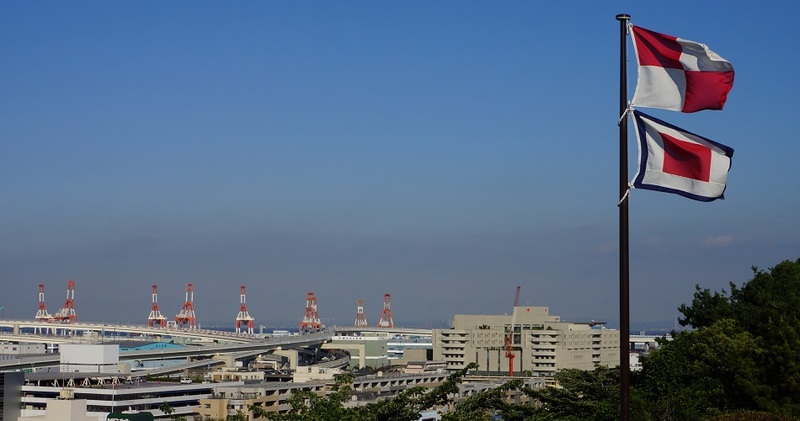 The second tallest building in Japan, this 73-story tower dominates the famous skyline of the Minato Mirai 21 district in the heart of Yokohama City. Rich in history and ambience, Yokohama is an ideal destination for shopaholics eager to explore a new face of Japan--one that balances sophistication and comfort with the charm of a cosmopolitan city. Just 30 minutes by train from Tokyo or a quick direct bus from Haneda Airport, Yokohama's offerings are easily accessible for all visitors. 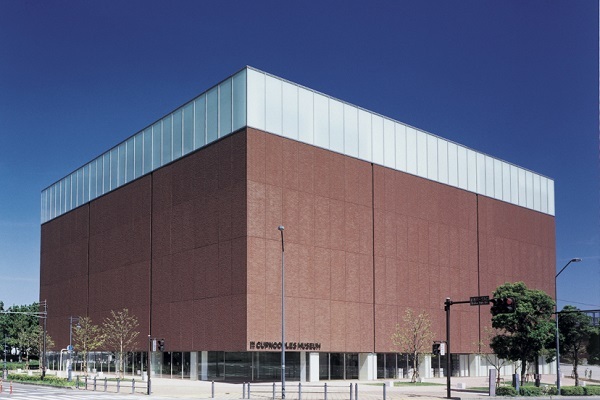 Yokohama is also conveniently accessed via Shinkansen at Shin-Yokohama Station. As one of Japan's first and leading international port cities, Yokohama exudes an air that is refined and modern, while retaining its historical character as one of the first places foreigners settled after the opening of Japan to the West. This unique heritage is recognizable in the architecture of numerous buildings throughout the city, which has now also established a reputation as a destination where lovers of fine art, good music, great food, and excellent shopping can wander to their heart's delight. Wide, open, and free--and yet cozy and intimate at the same time--no matter when you visit, there is a profound and characteristic comfortableness in Yokohama which cannot be easily found in neighboring Tokyo. An elegance both old and new pervades every pore of the city, where the leisurely pace of inhabitants makes it is easy to lose track of time. 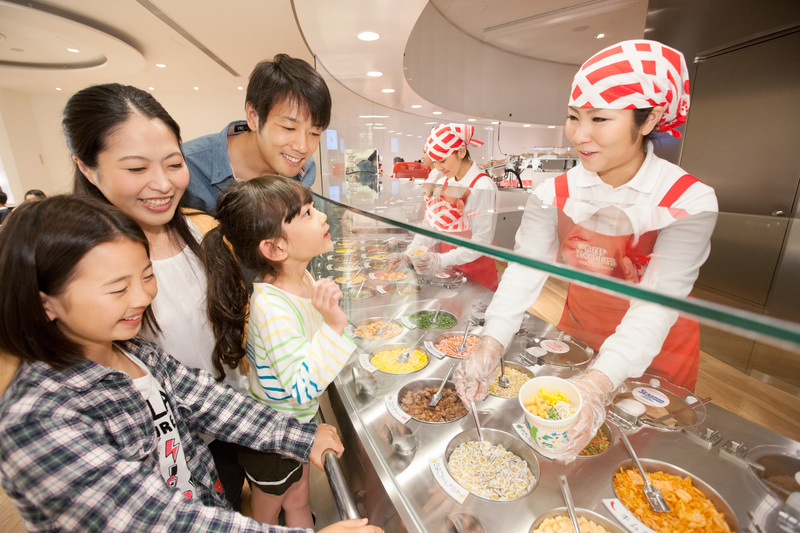 For those with shopping on their mind, Yokohama is home to several large shopping malls, many famous department stores, and countless boutiques with original and memorable items for sale. After shopping your heart out, head to one of the city's numerous view points to admire Yokohama's distinctive skyline, sparkling at night, or take a break at one of the city's hidden spots: little-known places that offer experiences a little bit off the beaten path. 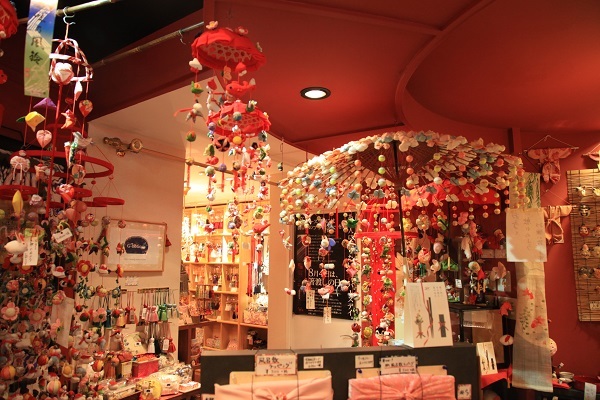 Come to Yokohama and treat yourself to an unforgettable shopping adventure. 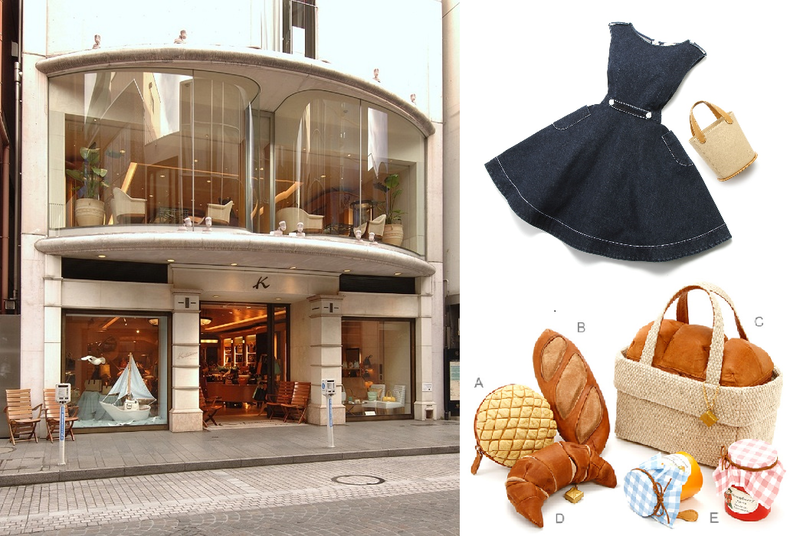 Can't wait to visit Yokohama and shop till you drop? Book a hotel now! Rail: From Tokyo, several train lines exist that take passengers to Yokohama in about 30 minutes or less: the Tokyu Toyoko line departing from Shibuya, the JR Shonan Shinjuku line departing from Shinjuku and Shibuya, and the JR Tokaido, Yokosuka, and Keihin-Tohoku lines departing from Tokyo and Shinagawa. Shinkansen: The JR Tokaido Shinkansen is convenient for travellers departing from western and southern Japanese cities such as Osaka, Kyoto, Kobe, and Hakata. Air: The closest airports are Haneda Airport and Narita Airport. From Haneda, the Keikyu Keihinkyuko line can take passengers to Yokohama in as little as 20 minutes. Direct buses or airport limousines departing from both Haneda and Narita to Yokohama are also available and very convenient. Kitamura was founded in the 15th year of the Meiji Period right in Motomachi. In 1972, Kitamura began producing original handbags with the intention of combining genuine craftsmanship with Motomachi's spirit of sophistication. "Delicate", "cute", and "high quality" are just some of the words that come to mind when describing their creations, each made with much attention paid to the design, production, and materials. More than just handbags, Kitamura also offers wallets, shoes, mens' goods, and more. Across much of the Asian continent, chopsticks are the standard utensils with which each meal is eaten. As such, learning to use chopsticks properly may come in handy. 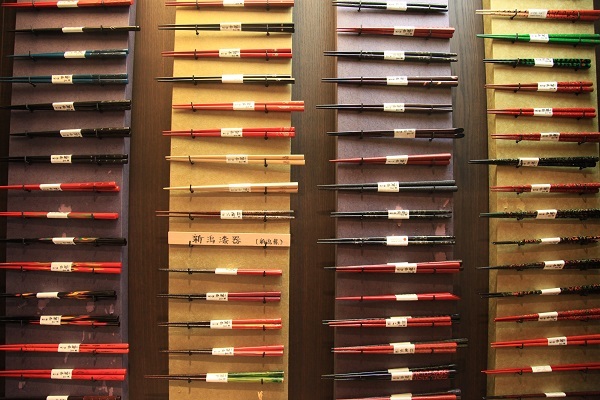 At Hashinaga, you can find over 1000 varieties of chopsticks, ranging from colorful and ornate to simple and practical. 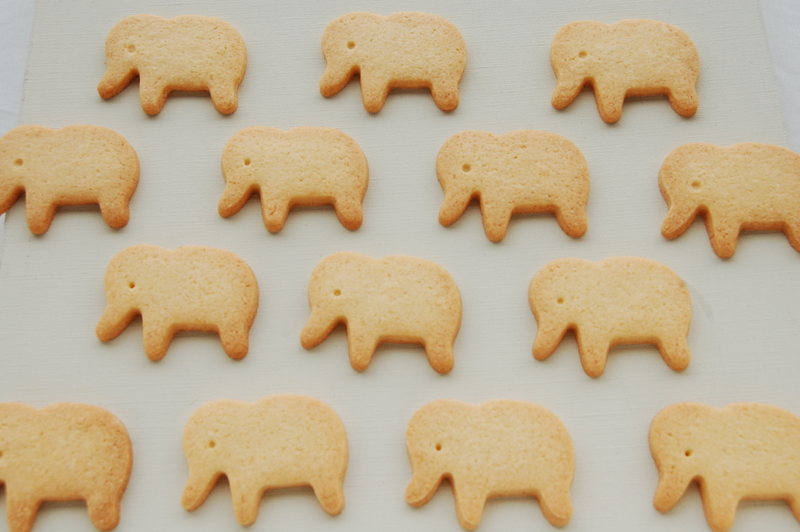 Not just for eating, try wearing a pair in your hair for a unique fashion statement. Makanai Cosmetics is a "made in Japan" skincare brand that was founded over one-hundred years ago as a gold leaf company. The diverse product range includes a popular hand creme made with natural ingredients, face-washing sponges made with kon'nyaku ("devil's tongue" yam), and even a beauty oil containing bits of gold leaf. 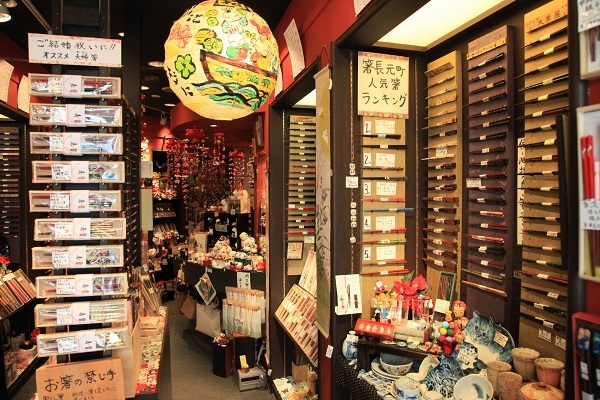 In addition, the Minato Mirai shop sells a Yokohama-limited selection of oil blotting papers featuring Yokohama motifs that become visible after blotting. Find out more about the Japanese Beauty Secret at Makanai Cosmetics. Located within the trendy and historic Red Brick Warehouse, wargo is a shop specializing in fashion accessories that prominently feature elements of traditional Japanese style. 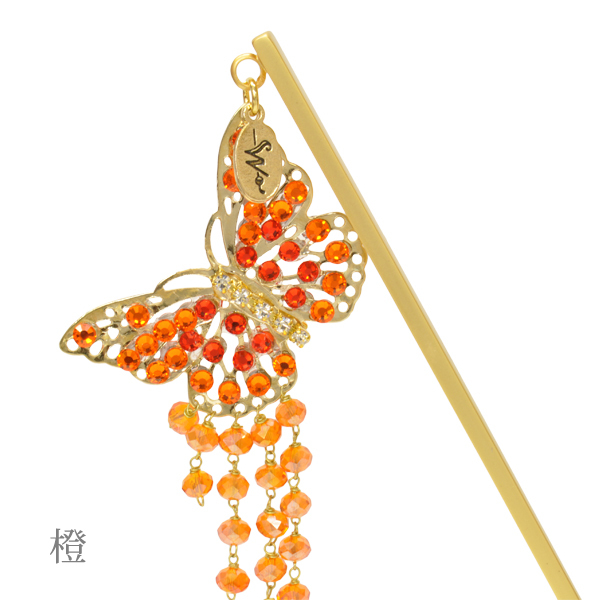 Case in point is the vast selection of over 1,000 kanzashi, the beautiful ornamental hair sticks traditionally worn with kimono. Not just for old-fashioned hairstyles, kanzashi can still be easily worn in fashionable, modern styles--just one kanzashi stick is enough to make a simple updo that will stay firmly in place, and keep you looking fabulous. 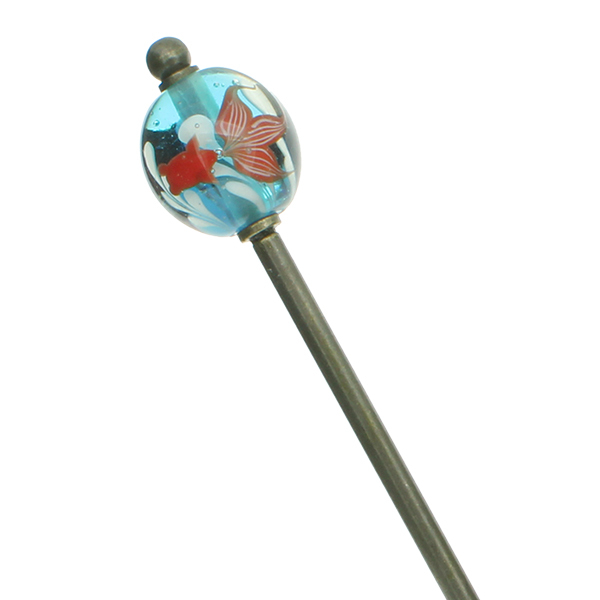 The staff is very helpful and will teach you just how it easy using kanzashi in your hair can be. 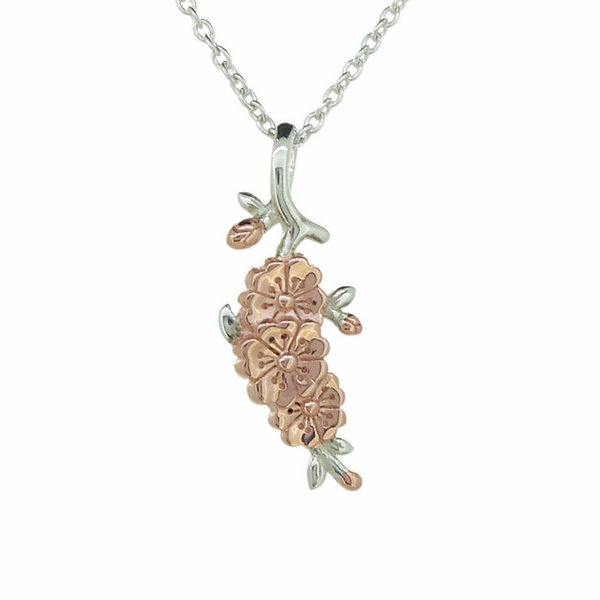 Beyond kanzashi, wargo also offers contemporary jewellery, silver accessories, and even T-shirts. 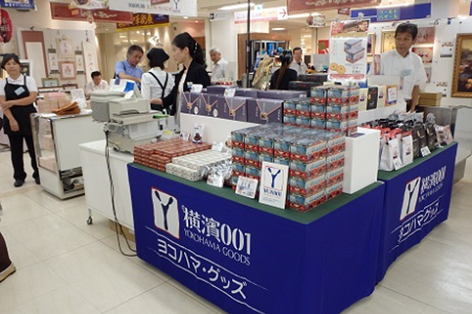 In order to create a Yokohama focused on international tourism, where visitors to Japan can shop with ease and have opportunities to interact with local Japanese residents, the “Yokohama Shopping Campaign Executive Committee” is promoting the city abroad by launching a variety of marketing strategies and establishing hospitality infrastructure throughout the region for inbound tourists. 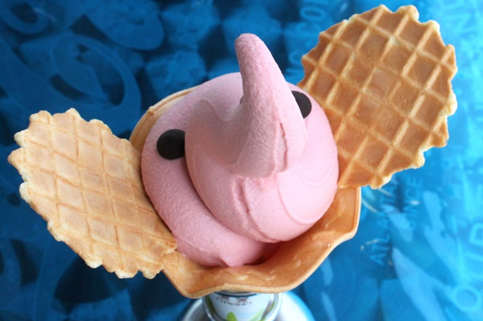 What is this mysterious-looking concoction? 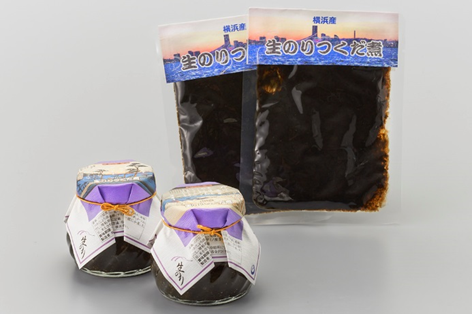 It's preserved raw laver seaweed harvested from the Motomachi area, simmered in a mixture of soy sauce and mirin. Despite its unusual appearance, tsukudani has a salty and robust flavor that goes excellent with rice. 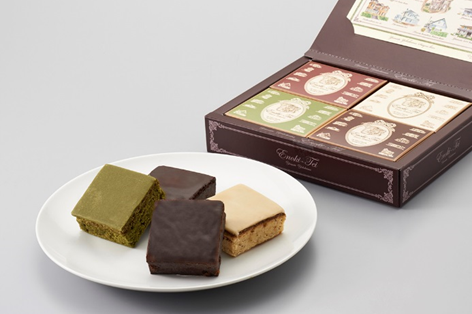 Inspired by the Western-style residences of the foreigners who had once settled in the Yamate district, these elegant and petit chocolate cakes feature a delicate sweetness. Postcards depicting the Yamate district are included in the box. 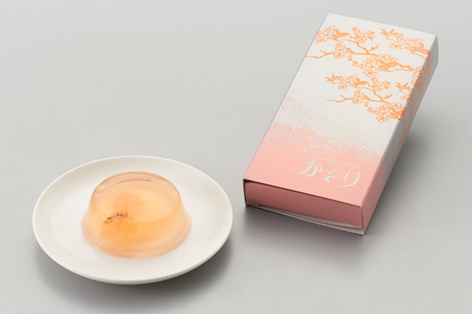 Featuring the cherry blossom as its motif, these gelatin treats, made with white wine as their base, contain cherry blossom petals. The delicate fragrance of these cherry blossoms will tickle your taste buds. 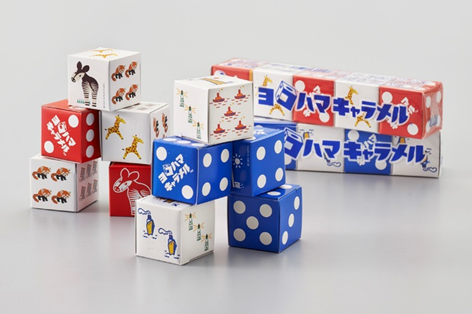 Saikoro Caramel is a long-selling candy in Japan, widely known for its dice design. 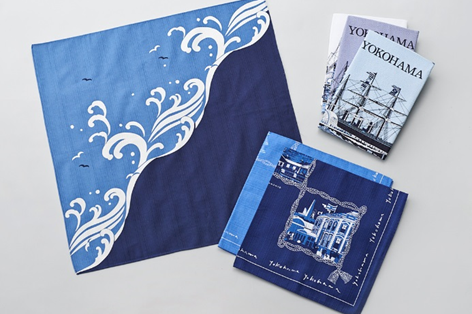 As a memorable souvenir, take home the Yokohama version, featuring famous Yokohama icons as motifs. Fruit drops stored in a round tin is a Japanese candy classic. The Yokohama versions make great souvenirs--in one container you can find a mix of 4 colors and 4 flavors: lemonade mint, blueberry mint, melon mint, and spearmint. 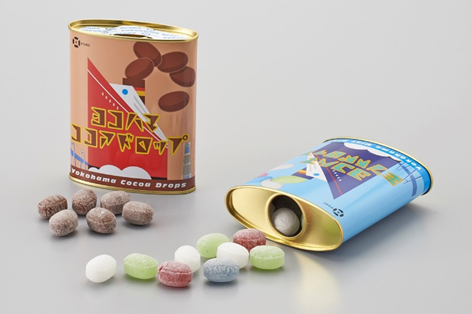 Other flavors include cocoa drops, which have a bittersweet chocolate flavor. Tenegui are traditional Japanese hand towels made out of cotton. 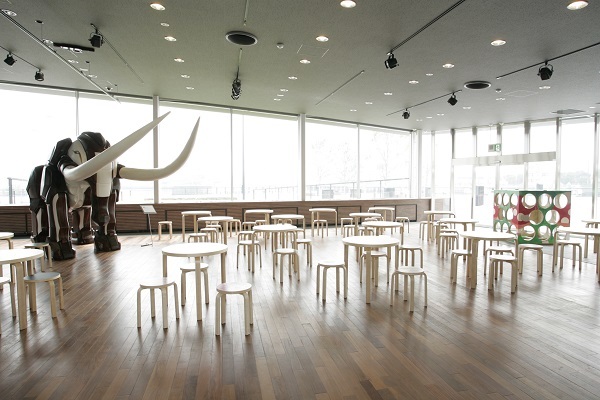 In addition to being functional, they also make stylish pieces of art. 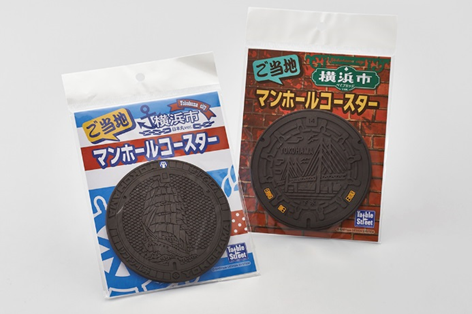 Featuring designs like that of the Yokohama Bay Bridge and the Nihonmaru ship, these iconic Yokohama manhole covers have been shrunk down to a convenient coaster size. The condensation left behind by a glass kind of resembles fallen rain on manhole covers, for an extra bit of fun. 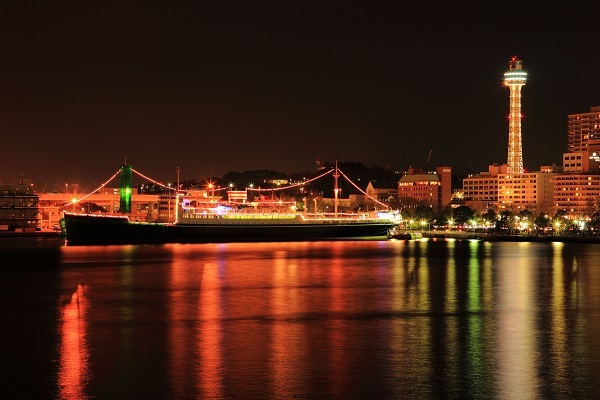 At 106 meters tall, Marine Tower is an excellent vantage point from which to admire views of the bay at day or night. In the winter time, the tower itself becomes a brilliant spectacle, dressed up in lights during the annual Stardust Illumination event. The 2014-15 season of the the Stardust Illumination will run from November 21st, 2014 to February 28th, 2015. 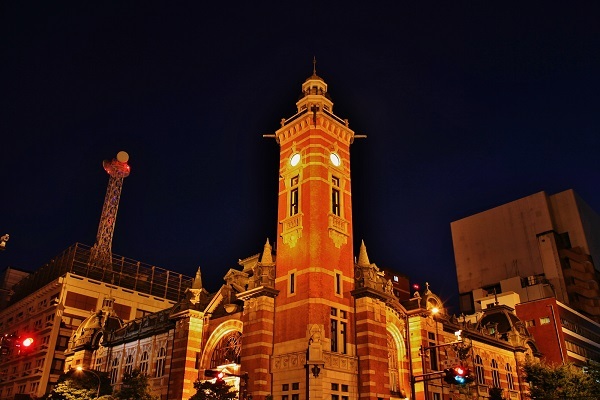 Erected in 1917 to commemorate the 50th anniversary of the opening of the port, the memorial hall in itself represents a slice of Yokohama's architectural history. Popularly referred to as "Jack's Tower", the building is one of three towers constructed in this era boasting a Western aesthetic influence. 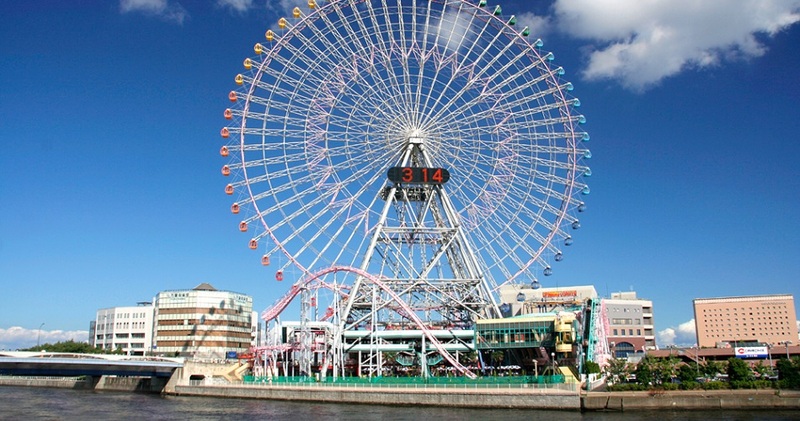 An integral feature of the Minato Mirai 21, this enormous Ferris wheel also doubles as the world's largest clock. 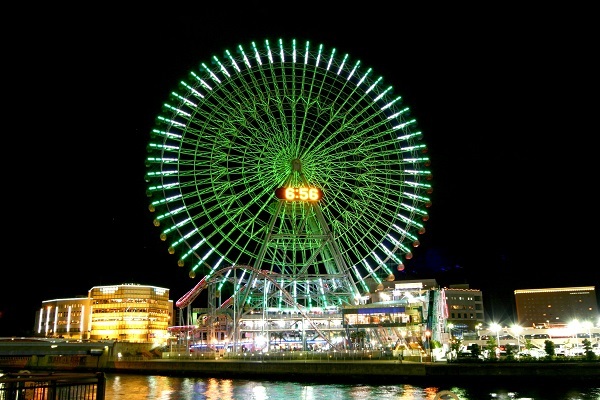 At night time, the spokes of the wheel transform into an elaborate display of swiftly changing colored lights. 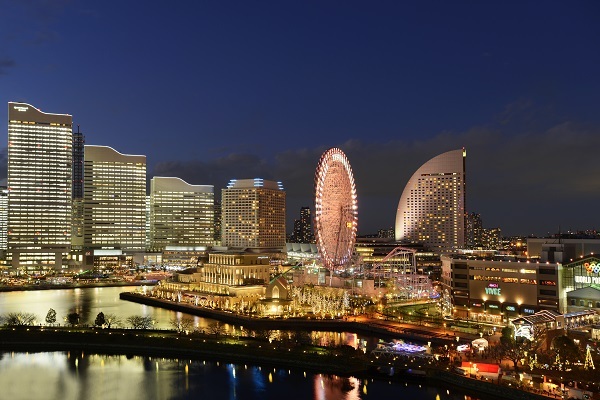 The iconic skyline of the Minato Mirai 21 district seemingly defines Yokohama as a chic and sophisticated urban center, complete with entertainment highlights such as the Ferris wheel of Cosmo World, posh world-class hotels, and major shopping attractions. 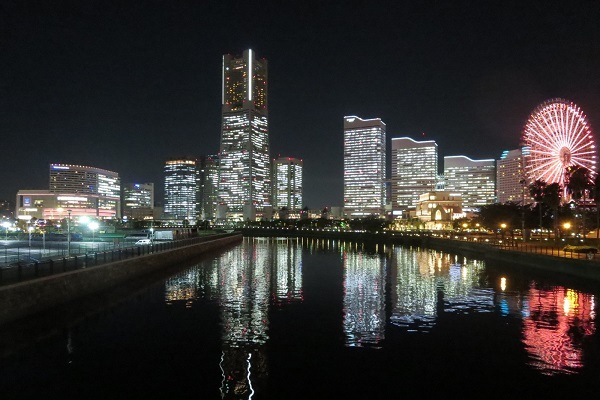 The beauty of the Minato Mirai 21 district lit up at night is twice as dazzling as its reflection shimmers in the water. Here is an excellent opportunity for a romantic stroll or an exciting night out on the town. Venturing out onto the pier at night will reveal an alternate viewpoint from which to gaze upon Yokohama City. Additionally, according to legend, it is said that if you can make out the three towers of Yokohama simultaneously, your wish will come true. 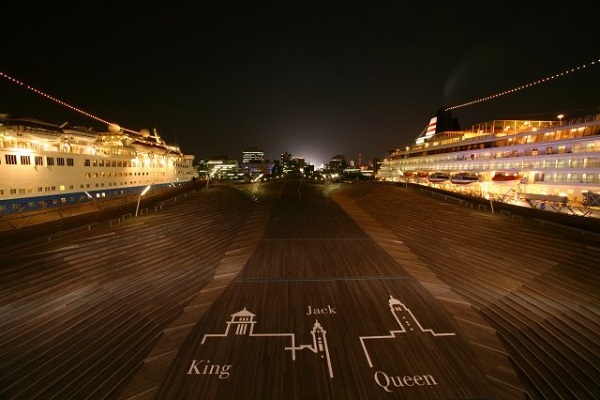 Osanbashi Pier happens to be the best place to observe these buildings--the King, Queen, and Jack. Towards the north of the city the Keihin Industrial Zone begins its massive sprawl. 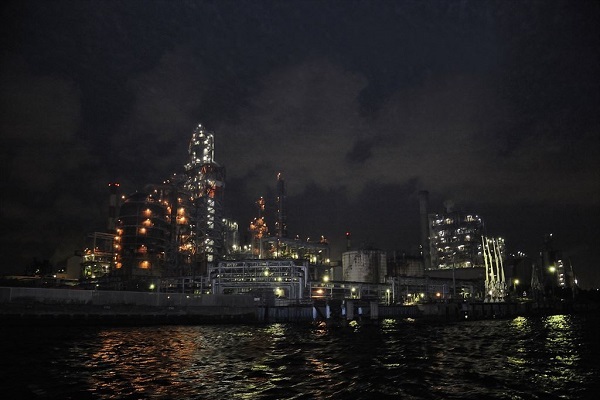 Fans of unusual and interesting night views would do well to catch a glimpse of this collection of factories and smokestacks, best observed from a night cruise. 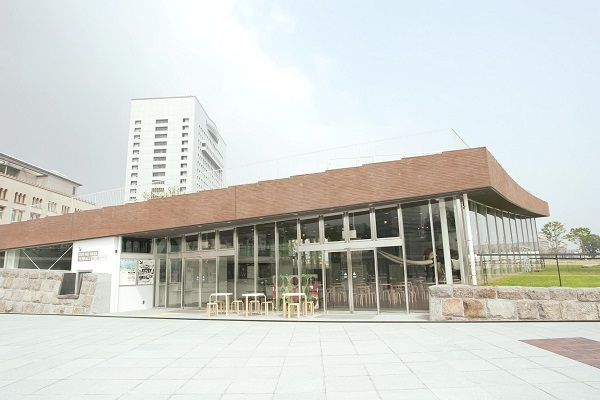 A café established in 2009 to commemorate the 150th anniversary of the opening of the Port of Yokohama, ZOU-NO-HANA TERRACE also serves as a place where visitors can enjoy art and music. 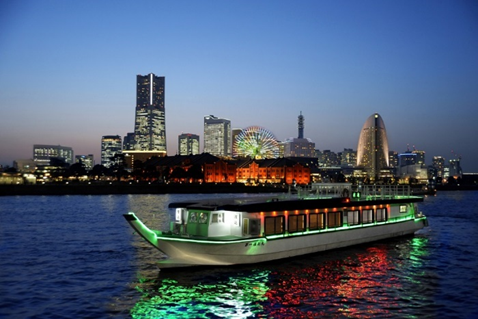 One perk of Yokohama being a port city is the opportunity to experience dining on a yakatabune, a traditional-style leisure boat. The Hamashin company offers excellent seafood, serving fish caught fresh in the morning. 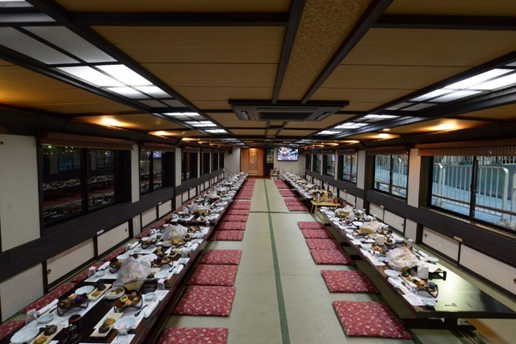 While enjoying your meal the yakatabune will tour famous Yokohama sights, such as the Red Brick Warehouse, Hakkeijima, Minato Mirai 21, and Yamashita Park. Notes: As space on the boats fill up fast, please book your spot at least 5 days in advance. 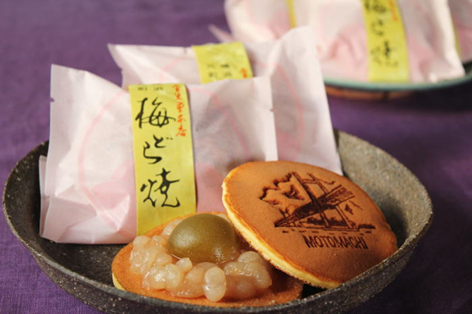 Try a special Yokohama version of dorayaki, a popular Japanese confection. 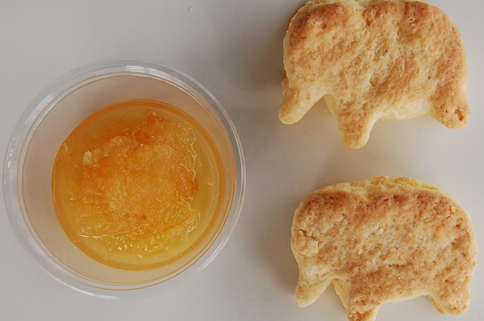 A sweet and sour pickled plum lies in the middle of sweetened white bean paste, sandwiched between two pancakes. 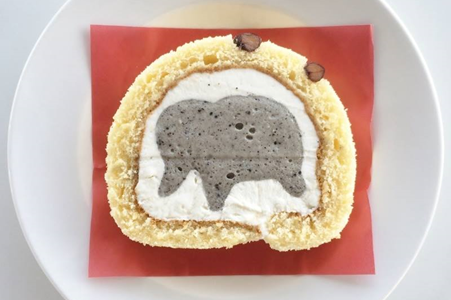 Imprinted with an image of a famous Yokohama icon, the Yokohama Bay Bridge, this treat makes an excellent souvenir. 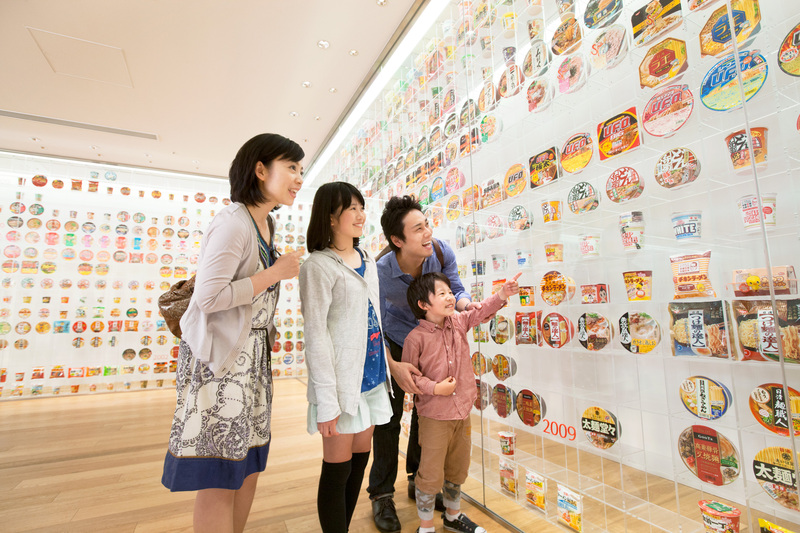 Opening its doors in 2011, the CUPNOODLES MUSEUM offers visitors the unique chance to learn about the history, science, and creative thinking process behind the world's first instant noodles. 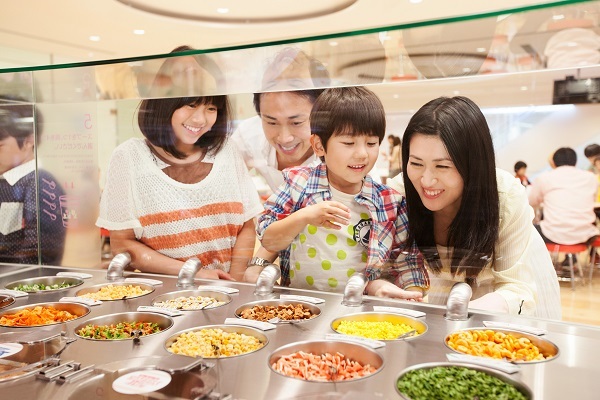 One fun aspect of the CUPNOODLES MUSEUM is the interactive learning opportunities which are fun for the whole family--you can even make your own CUPNOODLES! The symbol of Minato Mirai, an iconic hotel in Yokohama city. Only 1 minute on foot from Exit 1 of Motomachi-Chukagai Station on the Minato Mirai Line. Great location in Chinatown, with wide and spacious rooms. Just 1 minute from Yokohama Stadium. Only 1 minute from Exit 3 of Kannai Station on the Yokohama Municipal Subway. No. 1 in hotel guest satisfaction 7 years in a row and running. A 3-minute walk from JR Kannai Station. Only 1 minute on foot from Bashamichi Station on the Minato Mirai Line. Just 5 minutes on foot from Shin-Yokohama Station. Right in front of JR Sakuragicho Station. Only a 5-minute walk from Shin-Yokohama Station. Just 5 minutes from Yokohama Station. 2 minutes on foot from the Northeast Exit of Yokohama Station. 1 minute from Tokyu Ikegami Station with close proximity to Kawasaki, Yokohama, and Sakuragicho stations. 3 minutes from Shinkansen Shin-Yokohama Station--a circular-shaped luxury hotel towering at 42 stories. A very user-friendly city hotel just a minute away from Shin-Yokohama Station. *Disclaimer: Prices shown are lowest available room rates per person per night based on double occupancy. Prices may vary from those listed above depending on room type, number of guests staying, schedule, and inventory.